FESTIVAL SEASON IS ALMOST HERE!!! 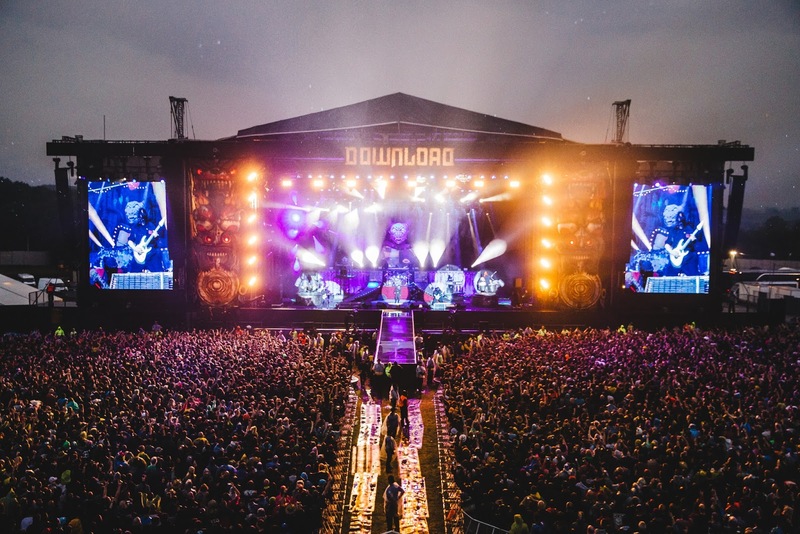 So, with that in mind let’s go through some of the best festivals the UK has to offer, kicking off with Download Festival – aka the one I am most looking forward to this year. You can see my warm up playlist for Download on this post here. But if you’ve been living in a tiny little shoe box under a bed somewhere, then you may not have even heard the name Download Festival before, so let’s take you through the basics…. WHERE: Donington Park in Leicestershire. WHAT: Rock and Metal ’till your heart’s content. Despite its hard rock exterior, like most rock festivals you will find an incredibly friendly atmosphere, a distinct lack of drugs flying around and a good mix of age ranges in attendance. You occasionally find the odd metal-snob who will judge your lack of JD swigging skills but as soon as you adopt a good DGAF attitude it’s all gravy. If we take a look back to a time where most of the readers of this blog were still in nappies, Download Festival is the after birth of what used to be known as Monsters of Rock, which was also held at Donington Park. From the descriptions of it, it seemed to be the Sonisphere of the day, with festivals of the same name not only being held here in the UK but also across the pond in Spain, Italy, Germany and a few other places too. Rock legends such as AC/DC, Ozzy Osbourne, Megadeth and many, many more frequented the UK Monsters of Rock shows at Donington Park during it’s reign from 1980 – 1996. Fast forward to 2003 and Download Festival was born, with non other than Iron Maiden headlining, a band which are set to return to the stage again for the 2015 fest. The site is expected to reach up to 120,000 visitors over the weekend, which makes it one of the smaller festivals with around half the amount which head to Leeds Festival heading there daily.